Price excluding VAT.(Incl. VAT £1,078.80) *VAT Relief available on this product. 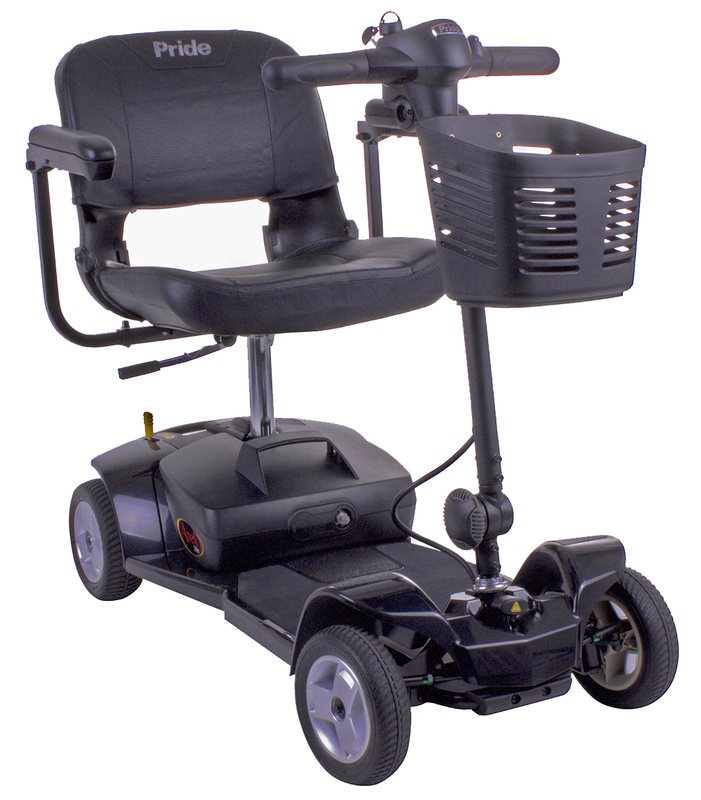 The Apex Lite from Pride Mobility is geared more towards the first-time rider. It is considered to be a slight upgrade from the Go Go Elite Traveller 4 model. You’ll find this scooter easy to break down, in fact it disassembles into 5 parts – the heaviest of which is only 15 kg. Perfect for lifting into a car boot or a small storage space. An excellent companion to have when driving around supermarkets and the local area, the Apex Lite has 8-inch wheels on the front and back. These wheels will provide you with a nice, comfortable ride. As this lightweight scooter doesn’t have suspension, it’s recommended that you stick to pavements and flat surfaces to feel the benefits. 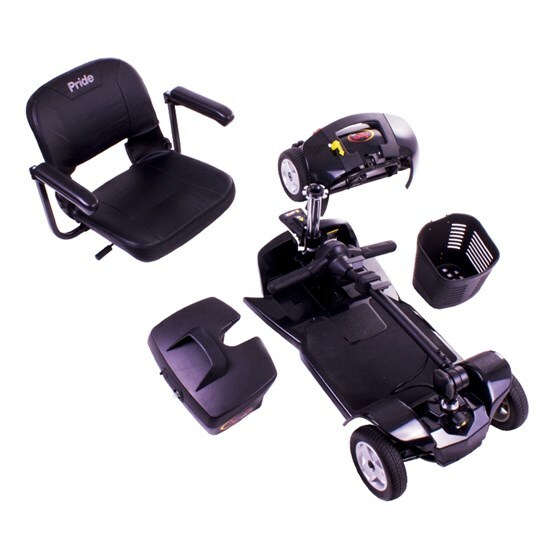 To make things easier the comfortable padded seat rotates for side transfer, and the armrests can be width adjusted. The Apex Lite has a weight capacity of 21.4 stone (136 kg) and comes with 12 Ah batteries as standard. This scooter does offer convenience. There is a charging point on the tiller meaning that those with back issues won’t have to bend down. The battery box can also be lifted off to be charged wherever there’s an electrical socket. A front basket is included for your personal items or shopping. 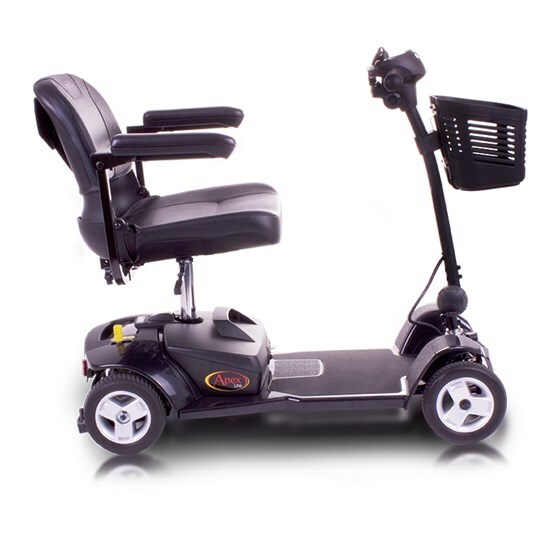 The top speed of this mobility scooter is 4mph which is comparable to a medium walking pace. A great travel scooter that will keep you mobile. If you’d like to more information on our range of travel scooter, then please call us on 02392 255600 where we’d be more than happy to help.